At The Phone Answering Service, we understand how precious your time is when running your business. 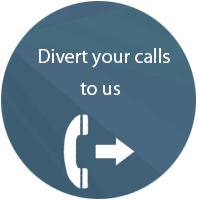 We look after your calls with the same care as you would yourself, with our straightforward and affordable call answering service. Create a great first impression! 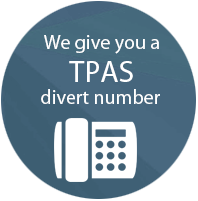 At TPAS our professional call answering services from our call centre help you retain and gain customers. With no hidden charges, our call packages are simply based on low / medium or higher call volumes with no additional charges for lunchtime, evening or weekend cover. 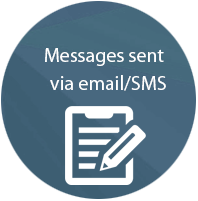 Calls are answered in your company name, with messages sent via SMS and email immediately after in real-time, keeping you up to date wherever you are. Whether you are out of the office, with a client or unavailable, we are there when you need us. Using a non-geographic or lo-call number on your web site and corporate material is a very effective way of achieving a national presence for your business. Various non-geographic prefixes we provide include 1800, 1850, 0818 or 1890. Fill up your diary and maximise revenue, leaving you free to optimise your time and look after your clients while we answer your calls. While you are with your clients we can be busy booking someone into your next free slot. Do you schedule appointments daily? …then you can benefit from our appointment scheduling services. How many times have you been with a client and your phone rings with an appointment call? Let us answer those calls and schedule the appointment for you so you can focus on your current customer. Even when your own receptionist is busy or away for the day, we can provide cover on a full or part time basis. No more leaving your customer in the middle of their appointment to answer the phone! Call us on 1850 930 306 to discuss your requirements. We have a number of different package options available to choose from and we can also design a completely tailor-made solution for your own needs, whichever is the most cost-effective for you. I’ve been using TPAS for the past two years now. I originally intended to use them to cover the telephone calls when I was away on holiday. In the past I had relayed the phone calls to my mobile but I found this too disruptive and too costly and was seeking an alternative. Since I found both their service and cost plan excellent for my needs, I’ve continued to use TPAS since. I have found them at all times to be professional when dealing with myself and any clients who telephone my office. All of my messages are relayed instantaneously and effectively. The service TPAS provides greatly enhances the client care I seek to give my clients and ensures I don’t miss any call from any existing or future client. I was delighted to find such a professional answering service available by simply transferring my phone. Initially I required the service for holiday cover. Great peace of mind and patients were able to make appointments directly during my leave. I continued to use the service as it freed up a lot of my time on the phone. The staff there have a lovely manner and nothing is too much for them. I can recommend the service highly. Running a busy office meant that we were spending a lot of time answering phone queries regarding properties. 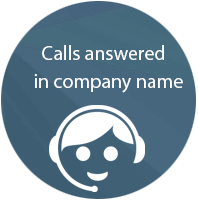 Since we started using The Phone Answering service all of our time is better spent on running our business, and because we have longer opening hours we can be sure that our calls are answered professionally, weekdays and weekends which gives a professional image to all of our clients. Following a recommendation from another physiotherapist, also in private practice, five years ago, I engaged the services of TPAS. I can say it has been one of the best business decisions I have ever made. Their attentive, responsible and professional call answering service has facilitated an increase in business and patient footfall through the clinic over the past number of years. Whether I am in the clinic or out of the office, knowing all calls are being dealt with in an efficient and professional manner brings total peace of mind. Patient feedback of the service has been excellent.